If your order weighs less than 13 ounces, save huge on shipping with USPS first class (with tracking number). This product weighs 10.2 oz. 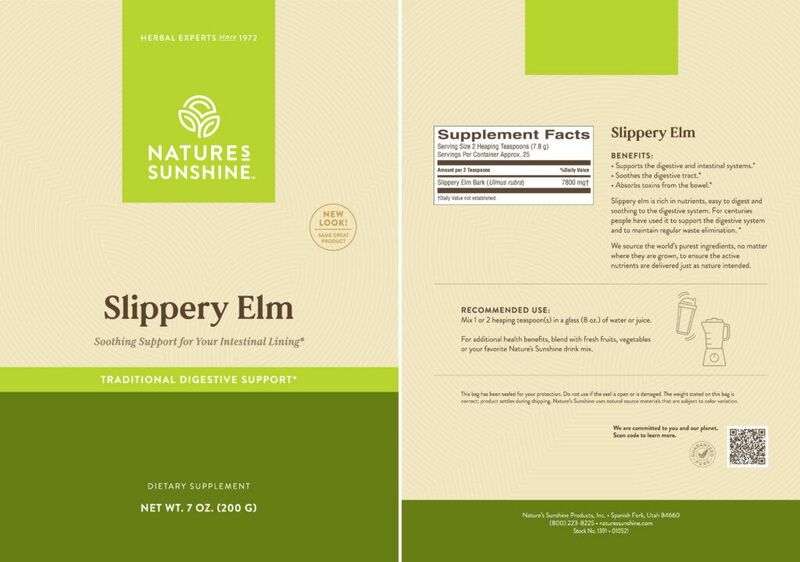 Nature’s Sunshine Slippery Elm supports the digestive system. 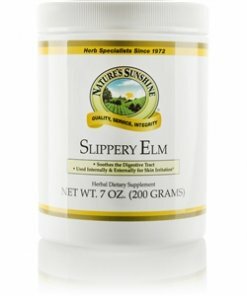 Otherwise known as red elm, moose elm, or Indian elm, slippery elm is a good source of mucilage, a polysaccharides that lubricates the digestive system and alleviates occasional digestive discomfort. Used as a survival food by early American settlers and by George Washington and his troops, it may also be applied externally as a skin poultice. 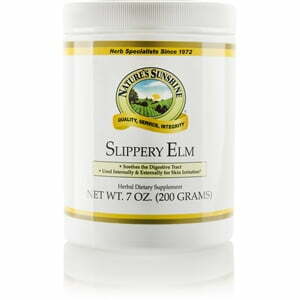 Instructions: Mix 1 or 2 heaping teaspoon(s) in a glass (8 oz) of Nature’s Spring water or juice.